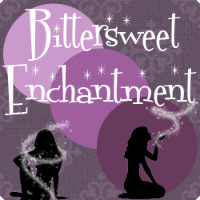 Bittersweet Enchantment: Book Blitz: Transformed by E.V. Fairfall | Author Q&A + Guest Post + Giveaway! Book Blitz: Transformed by E.V. Fairfall | Author Q&A + Guest Post + Giveaway! I am super excited to be able to share this post with you all today. 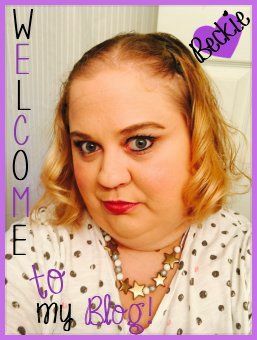 A book blitz for the new novel, Transformed by author E.V. Fairfall. Learn all about the book and the author including a fun Q&A, a guest post from E.V. and of course a chance to win a copy for yourself! Since the beginning, two entities have had complete, unquestioned control over Thea: the Earth and God. But when Thea suddenly figures out that the Earth has trapped her within a forest, she discovers that the only way to set herself free is to break God’s one rule; she must forsake her animal form and become human. The result is nothing she could ever have expected. Lost within the torrent of human emotions, Thea starts to lose who she is and even begins to fall in love with the one thing she always hated: a hunter. As her act against God proves more problematic than anticipated, it is only a matter of time before her punishment may prove to be worse than Earth’s entrapment. Well, let me first ask you this: how often have you read a book in which God and Mother Earth are siblings? Or a book in which Earth itself is an entity of its own, and prevents God from doing anything he wants? How often have you read a book in which Mother Earth is able to take any form except for that of a human because it is forbidden? Though Transformed is a story about finding one's self, it also explores the foibles of being human and the value of all life. It is about making mistakes and finding a solution, even if that solution isn’t what was originally intended. Transformed takes place in a small mountain town in Colorado. This fictitious town resides next to a forest and is green and lush (Colorado can get very dry), and because of its high elevation, it has strange weather patterns. How important are names to you in your books? Do you choose the names based on the way they sound or the meaning? 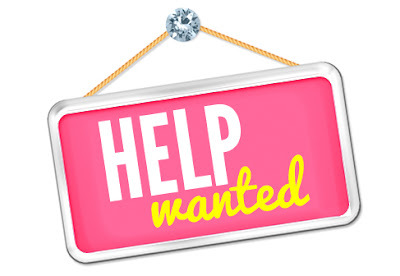 Do you have any name choosing resources you recommend? Names! Names are so important to me, mostly because I can’t actually write a character without first knowing their name. I can have the perfect scene in my head but until I find a name that I know fits the character, I just can’t write them in. I don’t pick names based on the sounds, but sometimes I pick a name because of its meaning. Mostly I just know when a name works for my character. As for resources, I tend to use lots of baby naming websites. Who is your favorite character from Transformed and why? Thea looked over her shoulder to see the little squirrel dragging the sweater across the floor toward the closet. If Brice saw a squirrel put a sweater on a hanger, she would never hear the end of it. She shook her head toward the squirrel, causing the ball of fur to stop and glare before continuing to drag the sweater out of sight. If Thea didn’t start hanging up the squirrel’s clothes, she had a feeling the little rodent would attempt to kick her out." Give us some insight into your main character. What does she do that is so special? Thea is God's sister and has spent her life filling the role of Mother Earth, creating the plants and animals and serving as their guardian. Alongside her brother God, the two siblings used their light to create for hundreds of years. She doesn’t understand humans, and she likes them even less. It isn’t until she takes a human form that she begins to understand what she has been missing out on, and ultimately she gains a deeper understanding of her brother and what it means to be a part of a family. Did you have a specific song or playlist that you listened to when you were writing Transformed? I actually can’t listen to music when I write. I wish I could. Sometimes a song will inspire me or motivate me, but while writing I need quiet. Of course, that never really happens because I live in an apartment with paper thin walls—but that is part of the adventure. Never give up, and go to writers conferences! I wish I had gone to a writers conference earlier. They open your mind to a side of book writing that you normally wouldn't consider. You can meet people who love what you love, and it is a great chance to break out of your shell and read some of your work out loud. Not only that but you will meet other writers who will help you through the hard times. Reviews! Social media posts on Facebook, Tumblr, Goodreads and so on. Word of mouth is huge for any author. There are so many great books in the world that people haven't discovered, but they only need to be pointed in the right direction. Hey you guys, E.V. here. I wanted to tell you a little about my book Transformed because, aside from the typical coming of age story, it is a book of self discovery in many other ways. The subplot of Transformed has an aspect of religion. Religion is a huge part of the world; not only are there many religions out there, but also within each religion people believe and adopt different practices. That is the reason why I felt compelled to incorporate it, even though another part of me wanted to leave it alone. Through the course of writing Transformed, I’ve studied religion. I’ve taken cultural diversity classes and religious studies classes. It was a mind opening experience and it also led me to the thought of bringing them all together. The subplot of Transformed does just that. Some aspects of different religions are stronger than others, while some are quite subtle and may be passed over without a second glance. I’ve also incorporated Earth, who isn’t a character in the book per se, but more of an omnipresent figure that forces God and Mother Earth to let their creations evolve. Overall the subplot of Transformed presents a new type of creation myth while demonstrating the way in which the characters navigate their life, and how their different religious upbringings influence them. If a reader can take anything away from Transformed, I hope it is a broader understanding of the world and a fun love story. I love to write just as much as I love to read. 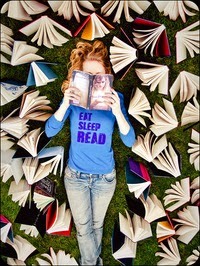 I try to read a book per week, which doesn't always work out, but it's the thought that counts. Aside from all that I am a huge animal person. Transformed is my first novel, but it isn't my first publication; I've had several short stories published over the last two years. My main goal as a writer is to explore humanity and to give people something fun to read. 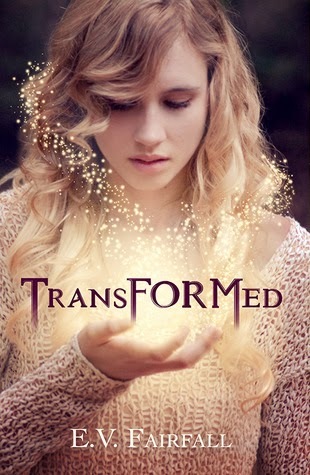 Entered to win one (1) ebook copy of Transformed. It would be a snow leopard. or a siberian tiger. I would want to be a cat. Nine lives, sleeping all day, getting to eat fish----yummmm!!! I'd choose a house cat - those guys live the life. I think a leopard. They are beautiful, fast, and deadly. I would love to be anything in the feline species, thanks for the giveaway! Probably in some sort of bird.